Louisville Wrongful Death Lawyer reminds us of Kentucky’s laws regarding lights required on our vehicles and how they must be used. Your vehicle must have two headlights and a taillight. Headlights on high beam must be strong enough to light the road sufficiently to reveal a person 350 feet ahead. They must not shine a glaring light into the eyes of an oncoming driver. When approaching an oncoming vehicle at night, you must use the low beam the last 500 feet before meeting and passing. When following a vehicle, dim your lights before coming closer than 200 feet of the vehicle in front of you. The rear light, or taillight, must be red and must be lighted and placed so it can be seen 500 feet behind your vehicle. A vehicle must also be equipped with at least one red brake light to the rear. The registration plate must be illuminated so that the letters and numbers of the plate can be read 50 feet away at night. All motor vehicles must have a brake light. No person shall operate any vehicle required by law to be licensed upon a highway unless it is equipped with a mechanical signal device that would indicate an intention to stop or suddenly decrease speed by illuminating at least one red light on the rear of the vehicle. 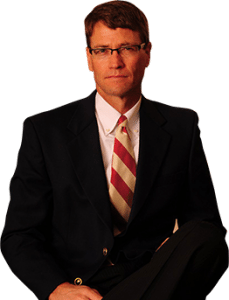 If you need a Louisville Wrongful Death Lawyer, contact Matt Troutman of the Troutman Law Office and he can help you win against the insurance companies. Call Matt directly or by email at troutlaw3550@gmail.com or click here.